Steelcase Inc. (SCS): Are Hedge Funds Right About This Stock? Steelcase Inc. (NYSE:SCS) was in 18 hedge funds’ portfolios at the end of September. SCS investors should pay attention to a decrease in support from the world’s most successful money managers in recent months. 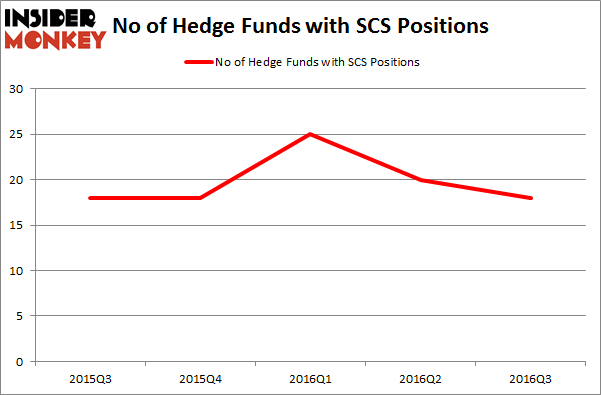 There were 20 hedge funds in our database with SCS positions at the end of the previous quarter. At the end of this article we will also compare SCS to other stocks including Gannett Co., Inc. (NYSE:GCI), Shutterfly, Inc. (NASDAQ:SFLY), and OM Asset Management PLC (NYSE:OMAM) to get a better sense of its popularity. Keeping this in mind, we’re going to take a look at the recent action encompassing Steelcase Inc. (NYSE:SCS). Heading into the fourth quarter of 2016, a total of 18 of the hedge funds tracked by Insider Monkey held long positions in this stock, down 10% from one quarter earlier. Below, you can check out the change in hedge fund sentiment towards SCS over the last 5 quarters. With the smart money’s capital changing hands, there exists an “upper tier” of noteworthy hedge fund managers who were upping their stakes substantially (or already accumulated large positions). According to Insider Monkey’s hedge fund database, Chuck Royce’s Royce & Associates has the number one position in Steelcase Inc. (NYSE:SCS), worth close to $21.6 million, accounting for 0.1% of its total 13F portfolio. The second most bullish fund manager is Spitfire Capital, led by Julian Allen, which holds an $8.6 million position; 3.8% of its 13F portfolio is allocated to the stock. 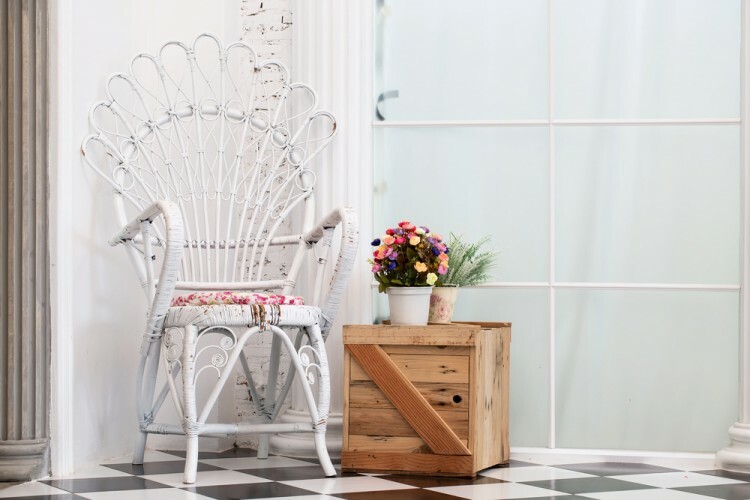 Other peers with similar optimism consist of John Overdeck and David Siegel’s Two Sigma Advisors, Israel Englander’s Millennium Management and D. E. Shaw’s D E Shaw. We should note that none of these hedge funds are among our list of the 100 best performing hedge funds which is based on the performance of their 13F long positions in non-microcap stocks.